The centrally located Piazza Eremitani contains the City Museums, the Archaeological Museum and the Museum of Medieval and Modern Art, housed in the cloisters of the old monastery of the Eremitani monks. The Scrovegni Chapel also forms part of this complex of buildings. 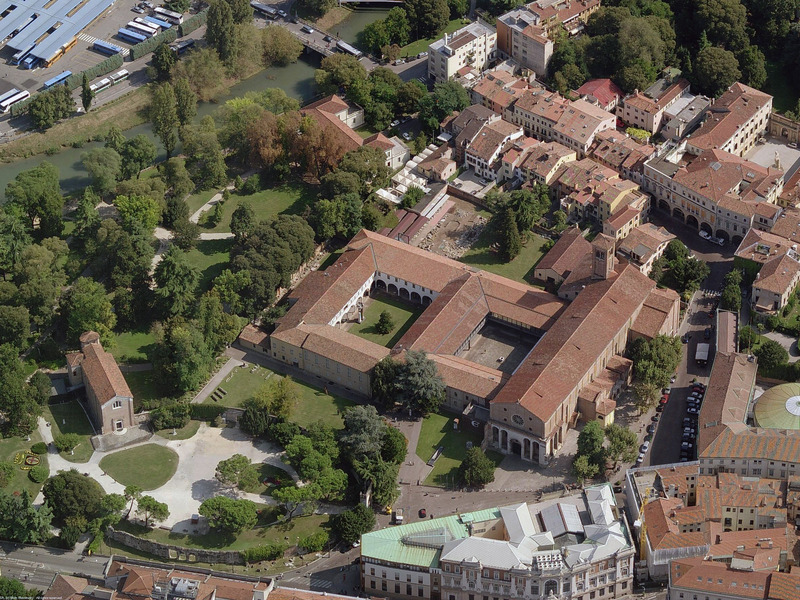 The original nucleus of Padova's City Museums can still be recognised in the rich collections which became public property with the suppression of the Convento di San Giovanni da Verdara (1783) and other religious bodies (1810). In 1825, Abbot Giuseppe Furlanetto placed a collection of Venetic, Greek and Roman stone tablets in the loggias of the Palazzo della Ragione (also called Il Salone), which was inaugurated by Francis I of Austria with the name of Museum. Then, thanks to the passionate commitment of Andrea Gloria, these pieces became part of the city's collections of works of art, together with the contents of private libraries and the old archives of the city's Magistrature. They later became the Pinacoteca (Art Gallery), Biblioteca (Library) and Archivio (Archive), the latter passing to the Italian State in 1948. The Biblioteca Civica (City Library) contains more than 500,000 manuscripts and printed volumes, from private libraries formerly belonging to Paduan families and collectors. Tickets: full price for all Museums, Scrovegni Chapel, Multimedial Room and Palazzo Zuckermann: 13.00 euro; Museums, Multimedial Room and Palazzo Zuckermann: 10.00 euro; reduced price: 8.00 euro; special reduced price: 5.00 euro; children up to the age of 17 and disabled persons: free of charge. N.B. Advance bookings are required to visit the Scrovegni Chapel: book on Telerete Nordest +39 049 2010020, Mon-Fri 09:00-19:00, Sat 09:00-18:00, or on-line: http:www.cappelladegliscrovegni.it.